Very romantic experience. Wonderful to unplug and enjoy the surroundings! 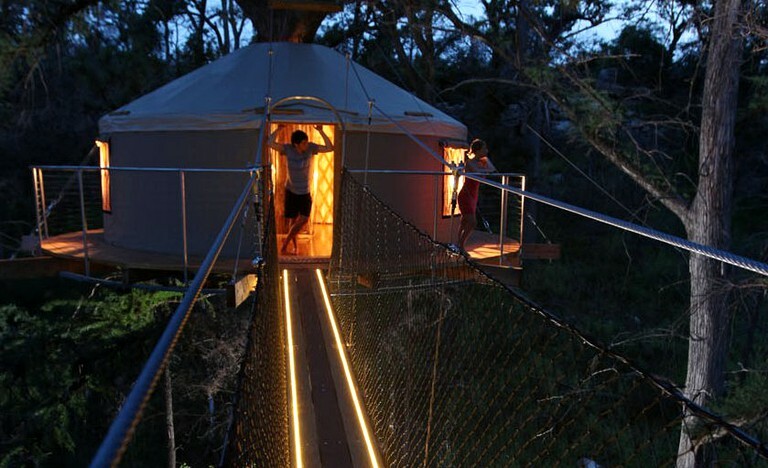 This round tree house in Austin, Texas, can accommodate two guests—perfect for couples!—and is built around an ancient cypress tree that grows through the middle of the structure. 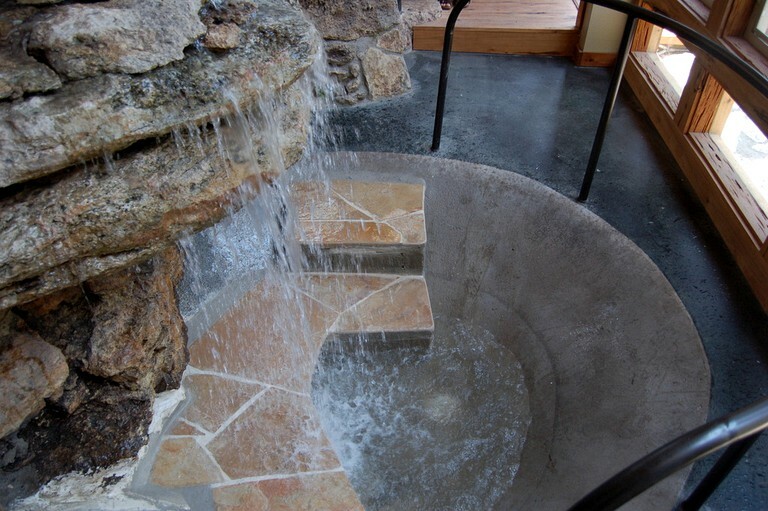 The tree house comes with a queen-size canopy bed and a hammock, and the outdoor wraparound porch has small chairs and a table that guests can relax on while enjoying the 360-degree views of the treetops. 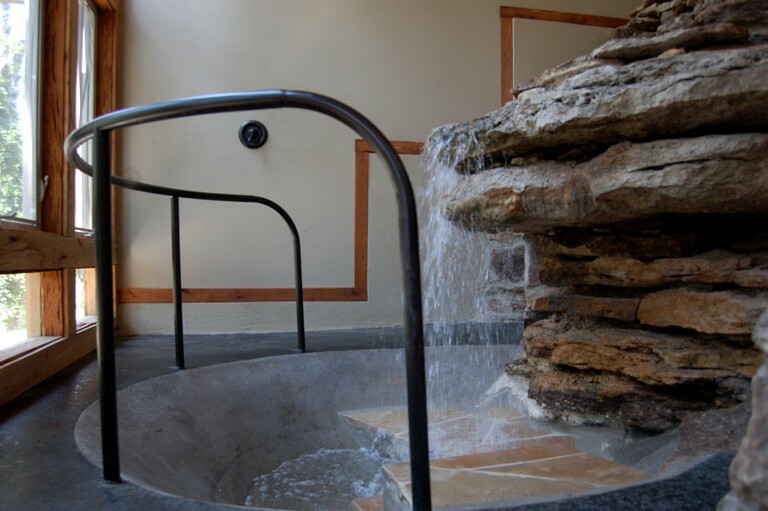 A bridge connects the tree house with the adjacent private bathhouse, which is equipped with a large waterfall-style bathtub, as well as a toilet and a sink. 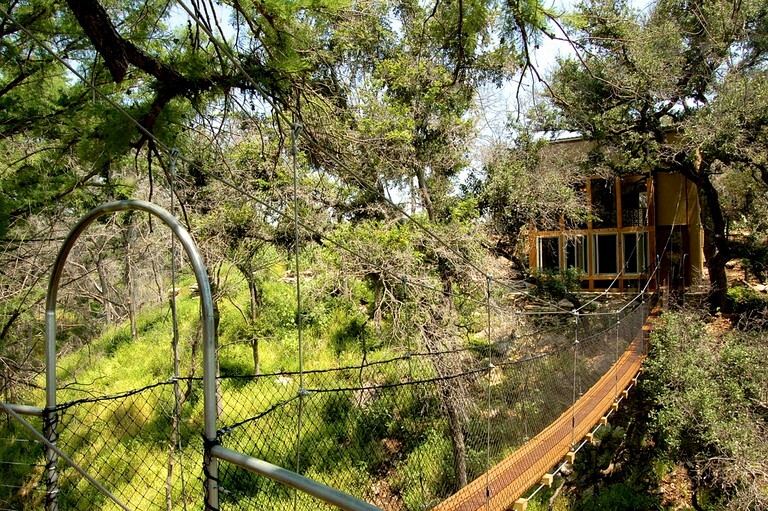 In addition, this tree house rental in Texas is equipped with electricity and lighting, and it comes with a breakfast bar with a coffeemaker, a toaster, an oven, and a small refrigerator. Coffee, tea, creamer, and sugar are provided. There is a small, spring-fed lake available for swimming based on rainfall and an outdoor pool available (except during winter months). 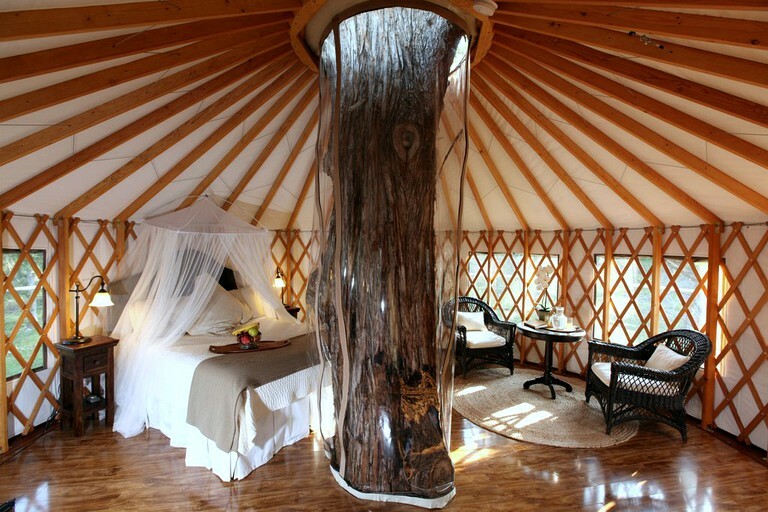 While staying at this glamping site, guests will have access to a shared bathroom located a short walk from the tree houses. 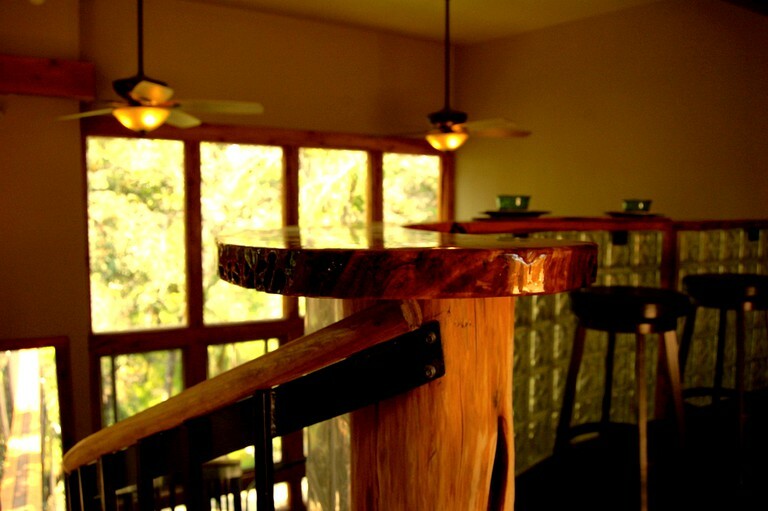 Additionally, the tree house is equipped with both electricity and lighting, ensuring a completely comfortable stay. Beds are outfitted with fresh linens and extra blankets. 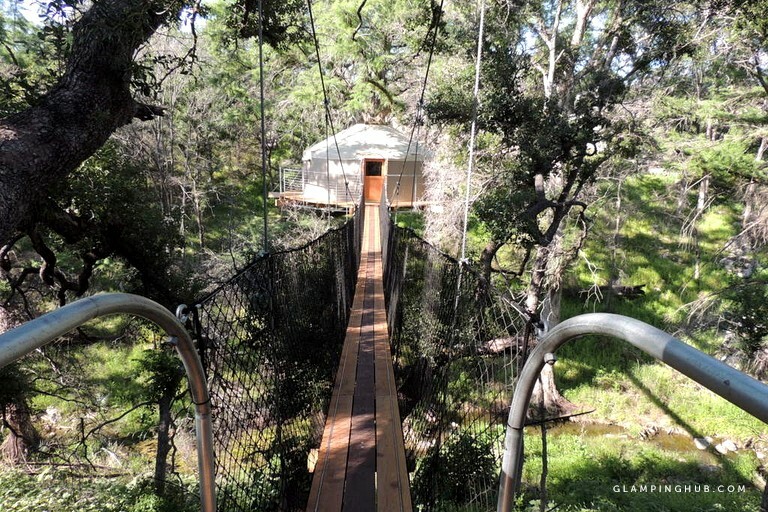 This glamping site specializes in zip-line canopy tours for an additional fee. 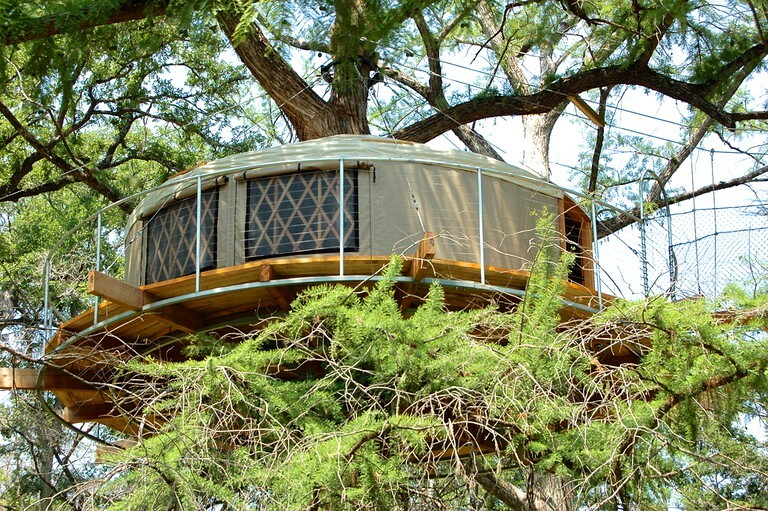 Guests booking a tree house are required to book a zip-line tour when available (see extra details for more information). 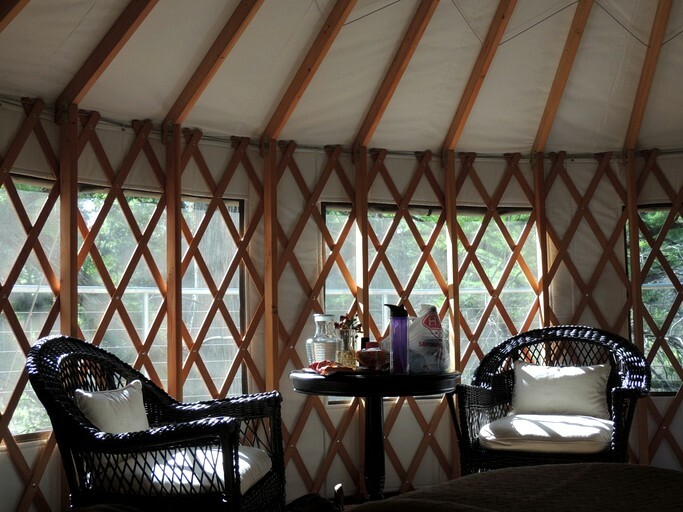 Glampers will be spoiled for choice on how to spend their days during a stay at this property. Guests can jump in the lake from a rope swing (drought dependent), have a picnic under the trees, or play basketball, volleyball, or tetherball. Walking and cycling are the perfect ways to explore the local area and the beautiful surroundings provide the perfect backdrop for whatever guests end up doing. Children staying at this glamping site must be at least 10 years old, and they must be accompanied by an adult at all times. Please keep in mind this glamping site does not allow people who are not guests to be on this property outside of the canopy tour operating hours. 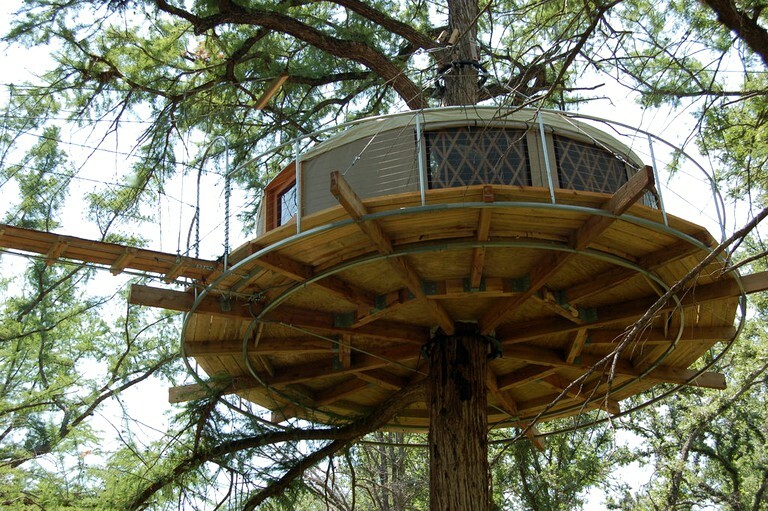 Only booked guests are allowed to enter the tree house. 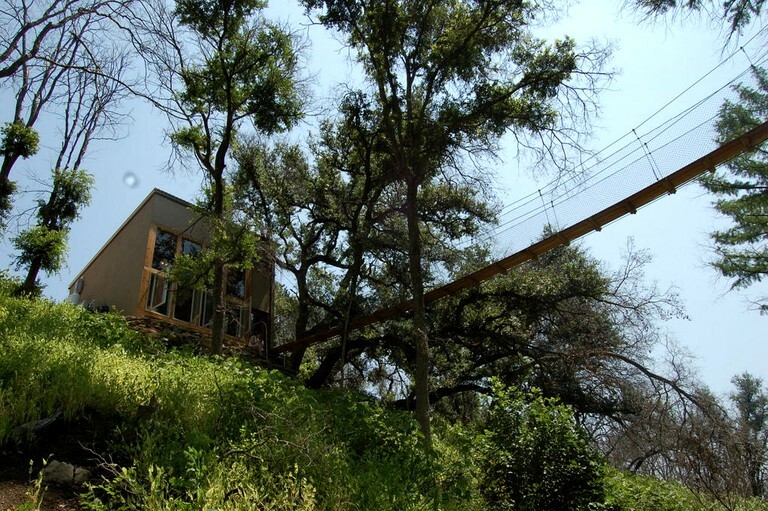 Please note, when available, a zip line canopy tour is required with your stay. Tours are available Thursday through Sunday in the spring and fall, and every day but Monday in the summer. The zip-line canopy tour is closed during the winter months. This activity is booked separately, and it is not included in the price. 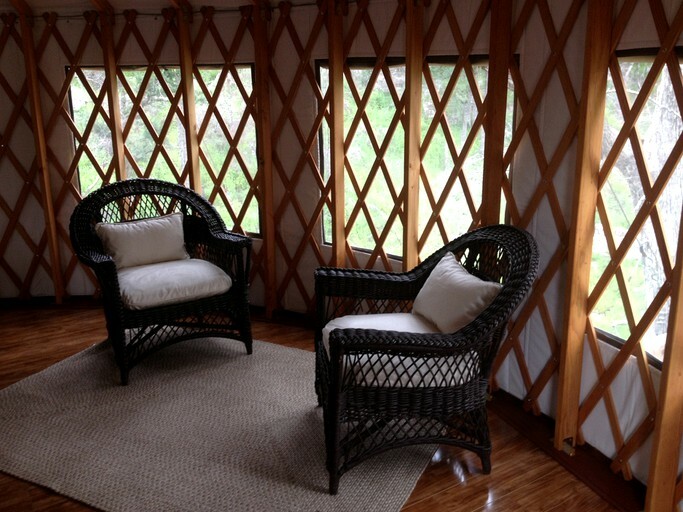 Check-in is between 4 p.m. and 6:30 p.m., and check-out is at 11 a.m.
Pets are not allowed at this glamping site.